Accept credit card payments at your location, with low processing fees, no set-up costs, same-day approval and FREE payment processing terminals. Turn your website into an online store today. 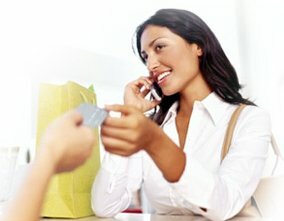 MasterCard, Visa, American Express, Discover and other major credit/debit cards are accepted with your merchant account. Simply Sign Up online, giving you full access to manage your green application - secured, private, automated and paperless. SELECT your type of business: . Apply Now and complete the application, you will instantly be presented with a confirmation for eFiling and an option to digitally sign the VISA/MC disclosure. Any additional special requests will be emailed to you with a confirmation. Check your email for up to the minute status.. Within minutes, you will also received an email from a Client Partner with all the instructions. Fax or Scan/Photograph to Upload or Email your supporting documents. Submit a driver license or photo id (to show proof of age 19 or older and signature of authorization) and ONE supporting document (can be a utility bill, tax id, articles of incorporation, bank statement, phone bill etc.) of your choice. Your account will be approved after all supporting documents have been presented. 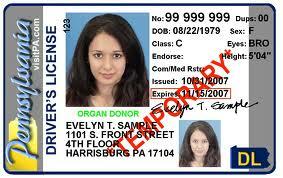 Driver License or Official ID Signature Authorization: See sample, Applicant must be over 19 years old (DOB) with a clear signature. ID must be current and not expired. Provide a Business or Personal (sole proprietor) VOIDED CHECK that has your business address printed, an accurate Account Number and Routing Number. Please scan or fax the voided check to authorize your daily sales direct deposit. If you don't have a check, you can also contact your local bank manager for a signed bank letter that indicates your routing number, account number. Expedite Services for current active merchants: if you currently have a Merchant Account with another bank, in order to EXPEDITE same day approvals, please also fax your most recent two (2) months merchant statements.
. Retails/Restaurants/Clinics Choose one - provide digital photo of your store signage inside/outside, or a marketing brochure (can be softcopy), dining menu or Yellow Pages. Welcome Kit. Each new merchant will receive a welcome package in the mail. It contains a welcome letter, VISA / MC / Discover / Amex credit card window decals, terminal instructions, Quick Reference Guide(s), the Merchant Processing Manual, voice authorization stickers, terminal overlay(s) and supplies information. Welcome packages are shipped Airborne ground. American Express and Discover Card will also contact you on the same day to welcome you to their network and to answer any questions you may have. From the moment you sign up, you will be interacting with several specialist working throughout the day. You will realized the amount of effort we placed in helping you begin your business of accepting credit and debit cards.